Suzy Cube has been a labour of love and an incomparable learning experience. After years of work, I am thrilled to release the game so players can have as much fun playing it as I've had creating it. Thanks to everyone who have helped make this possible and to all of Suzy's exceedingly patient fans. Suzy has even better moves with this controller update. And she sounds better too as localizations have been fixed for a few languages. This game is fine, but it’s not great. The graphics are pretty good, though a little boring. The story and actual game are very similar to a Mario game, which I have no problem with. It’s almost like a mix of captain toad and the 3D games. The only actual problems I have are the controls, and the camera. The character is slow, but has a sprint eventually so that is not a problem. I can’t imagine why you guys went for the no joystick style, but it doesn’t work at all. Moving around becomes a huge endeavor, with the character often moving the wrong way multiple times before actually going the right way. A good solution to this could be adding an actual joystick and jump button, instead of vague areas of the screen to slide on and tap. Then use the remaining space to move the camera. Suzy Cube isn't actually a Mario RipOff. Suzy Cube takes the ideas of a 3D platformer and makes them into a unique game that everyone should really play. The game runs perfectly well on lower devices like IPad mini and IPad Air. If your having trouble with the controls, it gives you an option to use a game controller. It's actually unique unlike other games and gives you a second option to play. The cutscenes in the game are really creative and funny. Suzy Cube gives you a challenge and a ton load of fun.. Overall, this game is an absolute must have and gives nostalgic fans and kids a better experience with the great blocky graphics and perfect gameplay. EDIT: My thoughts below still remain, but I realized you can only move in 8 directions. Realizing this has helped the controls to feel better overall. An onscreen joystick would still be helpful for me though. Love the game! 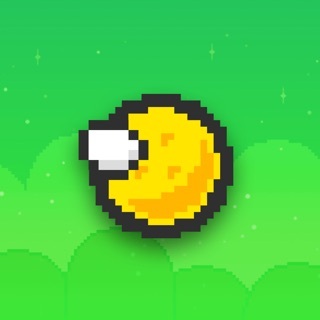 It’s a perfect mobile game inspired by the likes of Super Mario Land and World. The level design is stellar with secondary paths and hidden secrets, and there is a lot of variety on display here. However, movement and jumping is important in a game like this, and the controls are too finicky at the moment. The anchor option feels best, but lacks an onscreen joystick to show you where it’s anchored. The other option feels loose. An example would be moving upward at a run, and then I move my finger to the right to make a jump over spikes only to turn into a slow walk to the right. They don’t feel precise like they need to for a game like this.